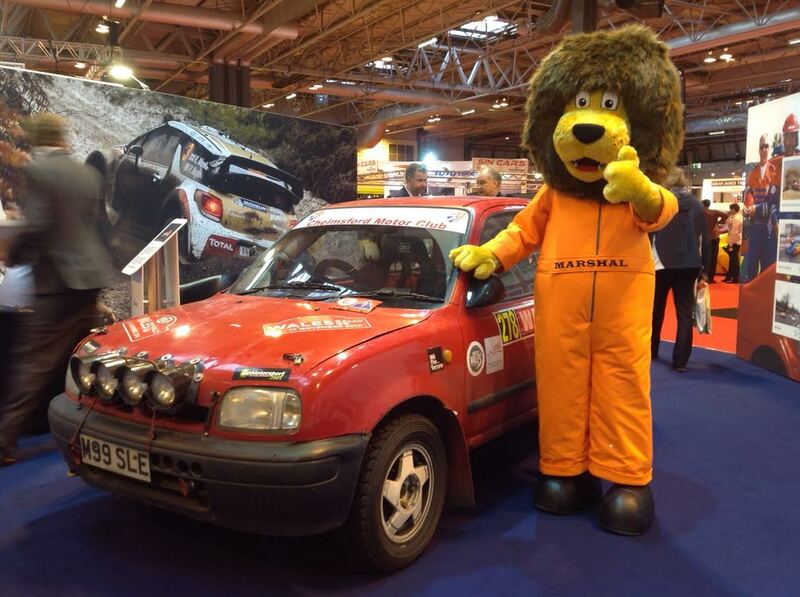 As regular readers will know I had two cars involved at the Autosport show this year. Muriel (aka the Rally car) was one of three featured cars on the main MSA stand, which was one of the first stands you saw when entering the show. I was also giving autosolo demo rides in my road car (MGZR) outside on the Sunday. Apart from having to bodge up a radiator mount due to the seized bolt the rest of the repair all went to plan, even bleeding the cooling system went fine. So I did a couple of runs to test the system and then grabbed some lunch, before some marshalling and my last session at 4pm. This was great as it was getting damp and dark, so I was able to throw the car around a lot and it was more fun in the dark with the lights on. This entry was posted in Uncategorized on January 14, 2015 by projectmicra.